Ah ha, there you are! You have discovered this little cubbyhole inside The Cupboard. 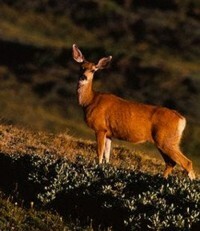 Now that you are here I want to tell you about the secret of the hinds’ feet. Do you know that the Lord has some high places for you? Places where the air is pure, the view pristine, distractions are far below, and there are paths just big enough for the two of you. It’s true that the climb up to the high places is a bit more challenging than a level foot path in the valley. But not if you’ve got those hinds’ feet; the hinds’ feet equip you for the roughest terrain. Can’t you just smell that mountain air? What are you waiting for?